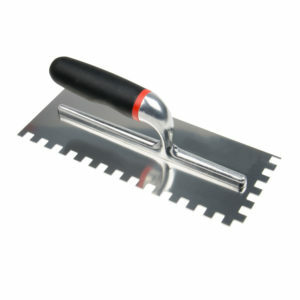 Stainless steel square notched tiling trowel – quality tiling trowel with a high resistance to rust. Notch sizes – 4mm, 6mm ,8mm, 10mm, 12mm, 15mm. 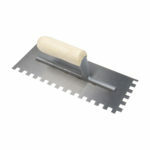 The stainless steel square notched tiling trowel is a high quality tiling trowel made from stainless steel, which has a high resistance to rust and will last longer than a traditional steel tiling trowel. 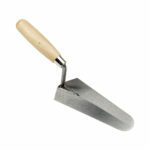 This tiling trowel comes with a soft grip ergonomic open handle for comfort and ease of use. 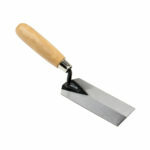 The blade measures 278mm x 112mm. 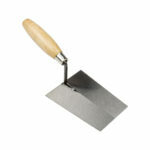 Available in a range of notch sizes – 4mm, 6mm ,8mm, 10mm, 12mm, 15mm.